A work by one of India’s leading modernist painters Jehangir Sabavala set a new world auction record for the artist on Thursday. 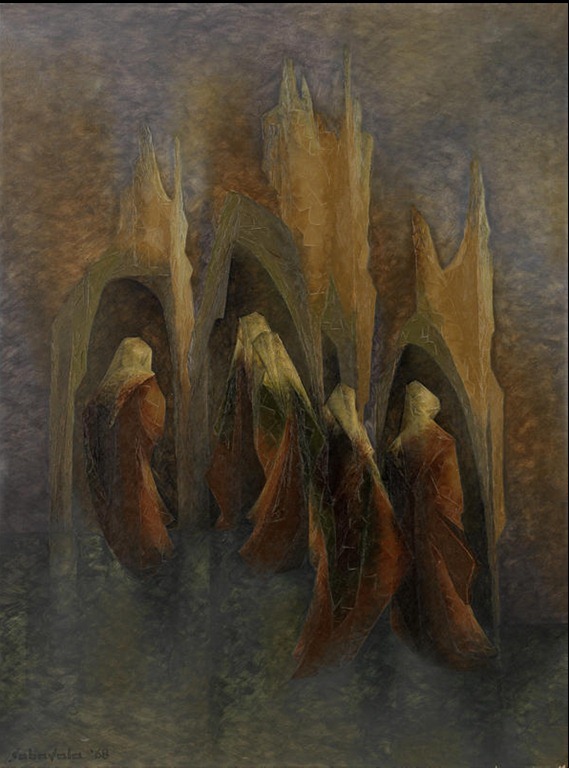 Titled Vespers 1, the painting sold for £253,650 (Rs 2.1 crore) at a Bonhams sale in London after a saleroom tussle between two buyers in the auction room. Works by the Parsi artist, who died after a year-long battle with lung cancer in Mumbai last year, have been scaling the auction ladder in recent years. In 2010, one of his serene landscapes called Casuarina Line fetched Rs 1.7 crore at a Saffronart auction. Now, Vespers 1 has gone for twice the estimate set by the auction house. Mehreeen Rizvi, head of Modern and Contemporary South Asian Art at Bonhams, noted that it was about time the artist "achieved commercial success in the art market to mirror his artistic reputation." Sabavala was known for his handling of light, colour and texture. Quite the perfectionist, the Mumbai modernist didn’t produce too many works in his career spanning sixty years. His first solo exhibition, held in the Taj Mahal Hotel in Mumbai, was put up with the help of fellow artist M F Husain and some carpenters. He even footed the bill for it. Vespers I is one of Sabavala’s most important works. It was first exhibited at the Jehangir Art Gallery, Bombay and then at his solo exhibition at the Commonwealth Institute, London. His paintings had an introspective, melancholy lyricism, notes Ranjit Hoskote, his biographer and close friend. The second highest price achieved in the Bonhams sale was a work by M F Husain titled The Blue Lady which made £97,250. It was from the private UK collection of John Hay, having been presented to Hay’s mother Elizabeth Partridge by her sister as a wedding present in India.